First, go online and print a copy of the Registration Form for Viewing, complete the form and you can email it to us, fax it to us or bring it to our office. Most of our properties are viewed by using our lockbox system and others are shown by one of our staff. The process will be explained once your registration form is received. We will contact you by email or phone. You have viewed the property and are ready to move forward, familiarize yourself with our policy and requirements below. A member of our staff will be available to walk you through the process. In order to facilitate the approval process of your application, we require the following documents to be submitted with your application. Applications will not be processed without this information. Copy of driver’s license for each applicant, co-signer, and any occupant over the age of 18. W2 forms / Income Tax Statement **some exceptions may apply. If self-employed, 2 prior years tax returns and 2 most recent bank statements. Give notice to current landlord that we will be contacting them. Provide the name, email address and/or fax number of your current landlord. Take a picture of your pet. 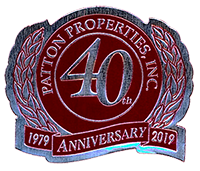 Email the picture to frontdesk@scpattonproperties.com (place in the subject line the address of the property you are looking to rent. Place in the body of the email, your name/contact information). The minimum security deposit required is equivalent to one month’s rent (with approved credit) and must be paid in Money Order or Certified Funds only. Security Deposits can not be used as last month rent. No cash, personal check, or money orders are accepted.